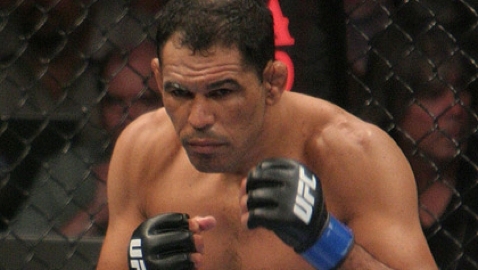 Watch former champ Fabricio Werdum submit the legendary Rodrigo Nogueira. 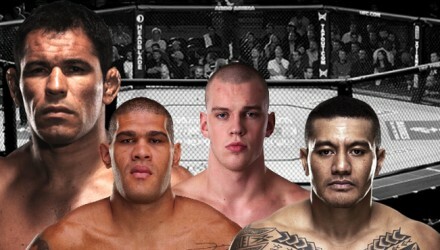 Werdum next faces Marcin Tybura in the main event of Fight Night Sydney on Saturday. 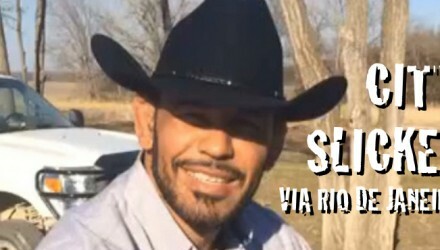 Retired UFC and Pride heavyweight champion Antonio Rodrigo Nogueira was announced on Saturday night as the first 2016 inductee into the UFC Hall of Fame. 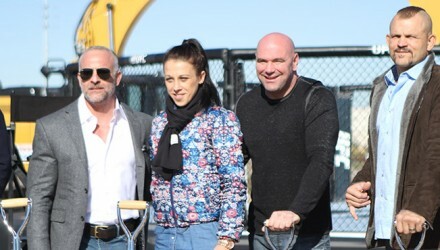 UFC CEO Lorenzo Fertitta and COO Lawrence Epstein unveil details on the UFC's new Las Vegas-based campus, and break ground on the construction site. UFC Fight Night Seoul Q&A with Julianna Pena, Mark Hunt, and Minotauro Nogueira. 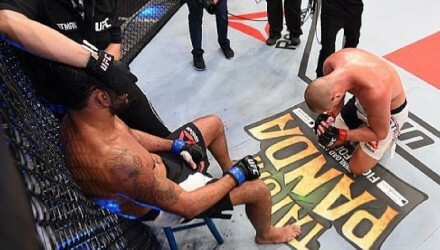 Although he had been holding out hope for a third fight with Frank Mir, former UFC champion Antonio Rodrigo Nogueira has opted to officially retire. Relive Roy Nelson's knockout win over Minotauro Nogueira from UFC Fight Night 39, as two of the heavyweight divisions legends went to war. On Episode 5 of UFC 190 Embedded, Ronda Rousey and Bethe Correia reach zero hour. The marquee winners from the UFC 190: Rousey vs. Correia fight card will field questions about their wins during the event's post-fight press conference. Check out the video replay of the UFC 190: Rousey vs. Correia official weigh-in that took place in Rio de Janeiro on Friday. Watch the official UFC 190: Rousey vs. Correia weigh-in streaming live from Rio de Janeiro on Friday at 5 p.m. ET. What's this about Ronda Rousey, Bruce Lee, and the magic punch? Bethe Correia explains. On episode 3 of UFC 190 Embedded, the marquee fighters make final preparations and check their weight before Friday's official weigh-in. MMA Hot Sauce's editor and other MMA bloggers weigh in on which UFC 190 heavyweight has the brightest future. 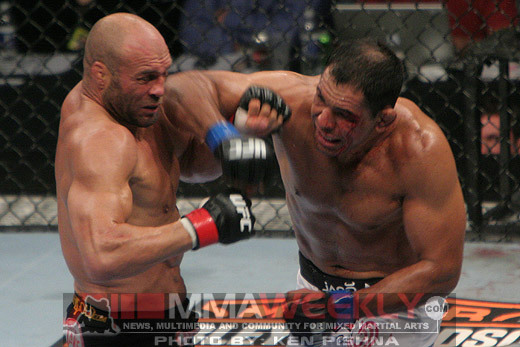 As a young and hungry heavyweight, Cain Velasquez throws down with former heavyweight champion Minotauro Nogueira at UFC 110. Heavyweights Antonio Rodrigo Nogueira and Stefan Struve will meet at UFC 190, officials announced on Tuesday. 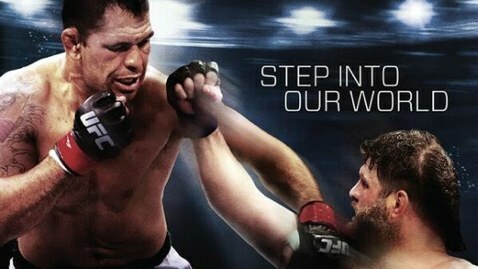 The UFC on Wednesday revealed the full cast for The Ultimate Fighter: Brazil 4. 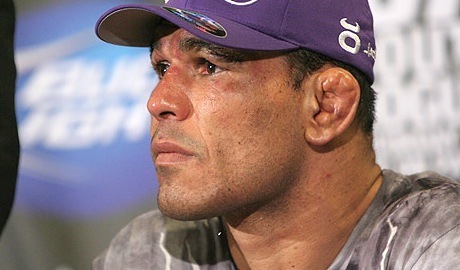 Rodrigo Nogueira commented on taking Anderson Silva's coaching spot. Antonio Rodrigo Nogueira plans to return to the Octagon next year, but he may also make his final exit from fighting in 2015, as well. 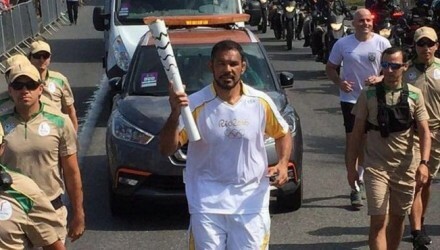 UFC president Dana White doesn't want to see Antonio Rodrigo Nogueira ever fight again and calls for the Brazilian fighting legend to retire. For this week's #FlashbackFriday video, we have to ask: Can Rodrigo Nogueira do this move on Roy Nelson in Abu Dhabi? 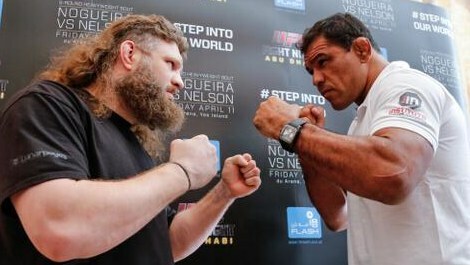 The Ultimate Fighting Championship this week returns to Abu Dhabi with a heavyweight headlining bout pitting Antonio Rodrigo Nogueira vs. Roy Nelson. Check out this UFC Fight Night Abu Dhabi preview of Antonio Rodrigo Nogueira vs. Roy Nelson and Clay Guida vs. Tatsuya Kawajiri. Antonio Rodrigo Nogueira takes on Roy Nelson in the UFC Fight Night 39: Nogueira vs. Nelson on April 11 in Abu Dhabi, United Arab Emirates. The Ultimate Fight Championship officially announced on Wednesday that it will return to Abu Dhabi's Yas Island on April 11.